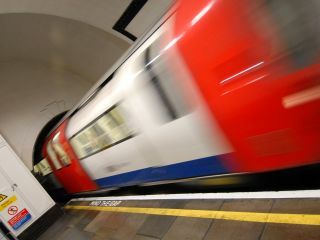 Virgin Media will provide London's tube stations free Wi-Fi access through the Olympics beyond, Mayor Boris Johnson has confirmed. The cable giant has won the contract to provide Wi-Fi, which will be free and unlimited through the summer and then become a portal for TFL travel news afterwards. Over 80 stations will be rigged up in time, with 120 the target by the end of 2012. Boris Johnson, the Mayor of London, said: "It's vital that we harness the massive opportunities stemming from the digital revolution, by creating a vibrant, world class industry to attract investment and create jobs for Londoners. "Millions of passengers will now be able to connect to their work, friends or access the latest news and travel information whilst on the move. "This is a fabulous new and free resource which will be in place from this summer when London is being showcased on a global stage and playing host to millions." Neil Berkett, CEO, Virgin Media, added: "With the eyes of the world on London this summer, we'll be showing off our capital as a leading connected city on the global stage. "We're putting the power of Virgin Media's fibre optic network in the hands of millions of Londoners, commuters and visitors and are delighted to be launching Wi-Fi for free throughout summer 2012 and beyond. "We'll help people make the most of the city and will continue to evolve the service, ensuring everyone can benefit from a service London will be proud of." The wording of the announcement is very specific that the service is in stations and it remains to be seen how it performs when it is available to all. Also of interest will be how many accept a pay-as-you-go model for full Wi-Fi after the summer, when the free offering ends unless you are a Virgin Media customer and reverts to travel info only for those unwilling to fork out. "Wi-Fi at Tube stations will be made available as part of Virgin Media's broadband and mobile subscriptions and all Tube passengers will be able to stay up-to-date with travel information thanks to the free online portal. "Full Internet access via Wi-Fi will become available via Pay-As-You-Go and other commercial models."